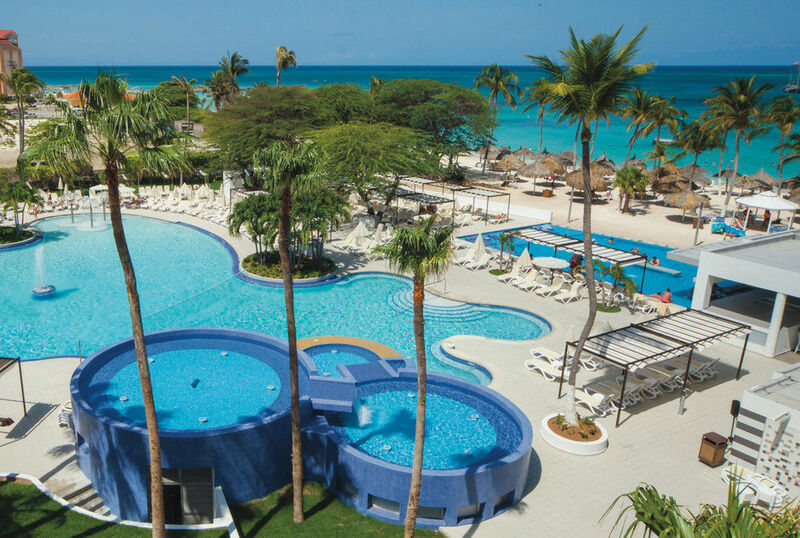 The Riu Palace Antillas Hotel is located on the shores of Palm Beach, Aruba, immersed in the most selective Caribbean atmosphere. 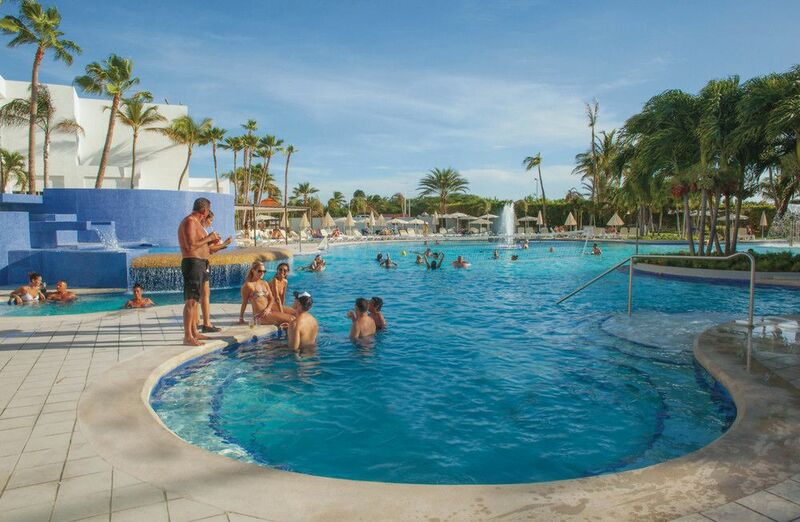 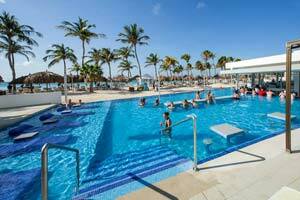 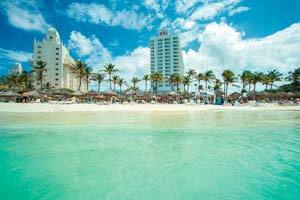 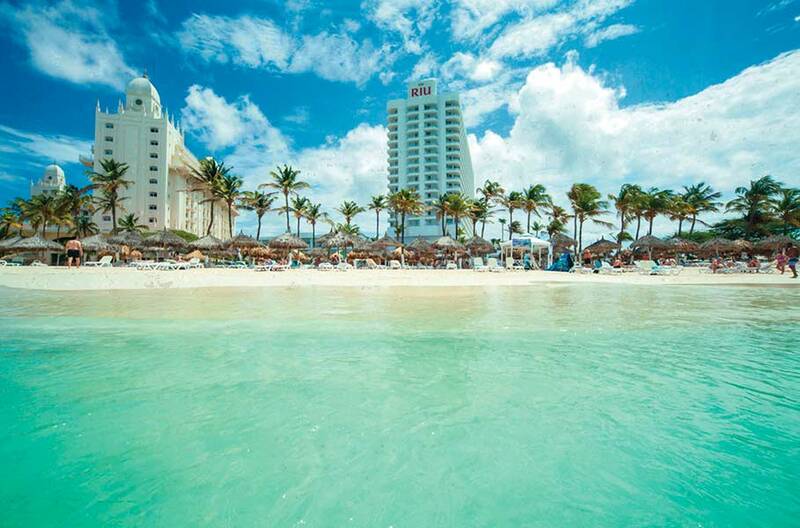 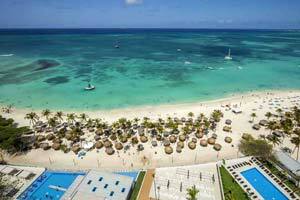 The Riu Palace Antillas is a 24h All Inclusive, Adults Only Hotel, exclusively for over 18 years old. 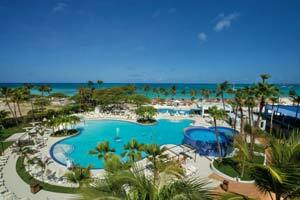 The Riu Palace Antillas Hotel is ideal the ideal place for a fantastic, romantic vacation. 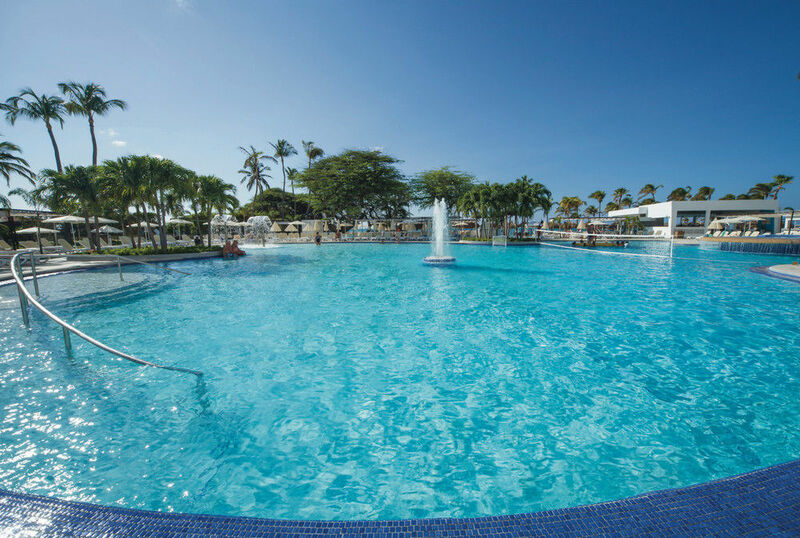 Riu Palace Antillas Hotel is a place to relax, with a free gym, spa and a beauty and hair salon inviting you to a wide variety of treatments. 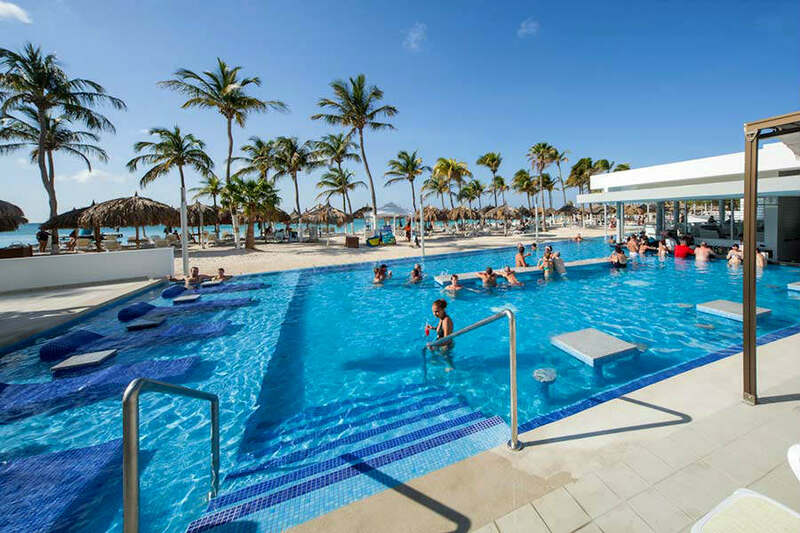 Perfect for those who enjoy the sun, offering free lounge chairs, sun umbrellas and towels, both at the wonderful swimming pool and on the Palm Beach itself. 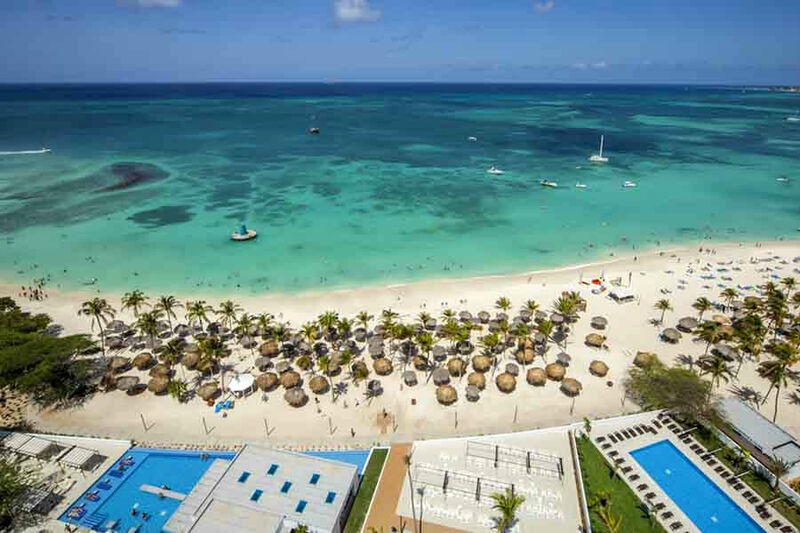 Furthermore, a complete entertainment program offers the possibility of trying out many different water activities: water sports such as windsurfing, snorkeling and kayaking, and even a diving test in the swimming pool. 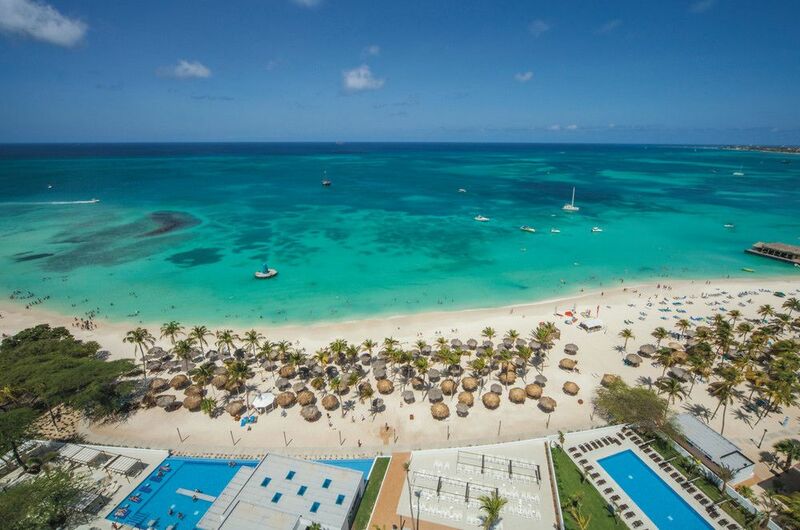 A golf course, bicycle rental and the possibility of interesting hiking routes are all available in the surrounding area. 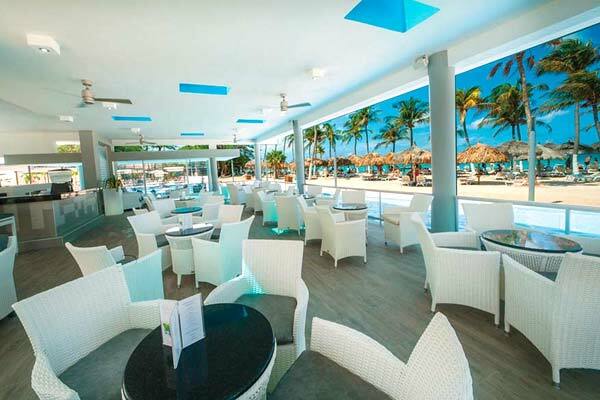 The buffet restaurant at Riu Palace Antillas Hotel invites you to enjoy the colorful Caribbean cuisine at lunch and dinner. 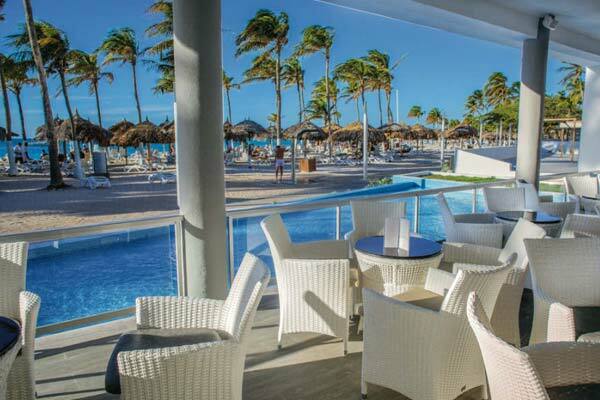 At the same time, you will find different world flavors in the three thematic restaurants. 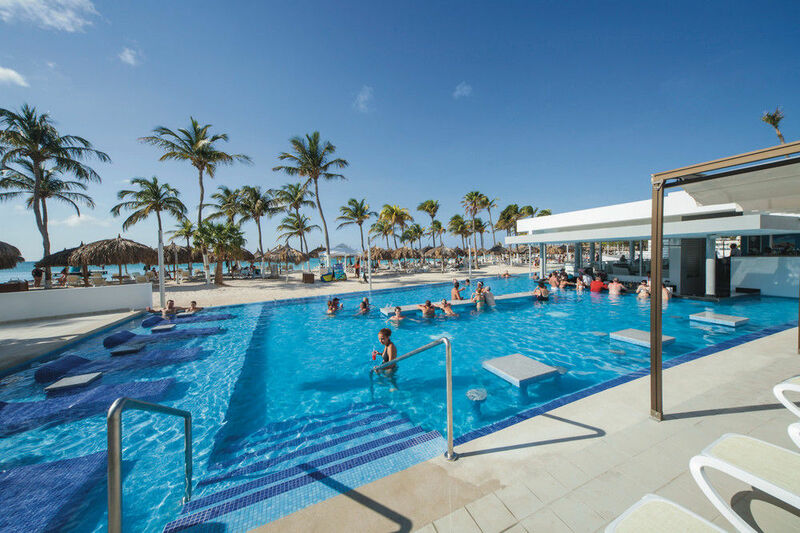 At night, you can also enjoy Riu Palace Antillas entertainment program with shows, dancefloor or try your luck at the casino. 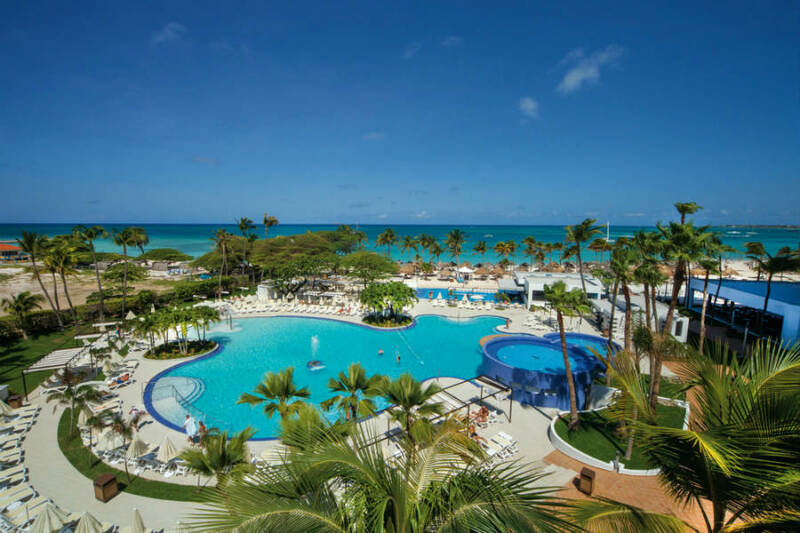 Air-conditioned guestrooms at Riu Palace Antillas Hotel have private balconies with panoramic sea views, Caribbean decor, flat-screen TVs with satellite channels, and complimentary wireless Internet access. 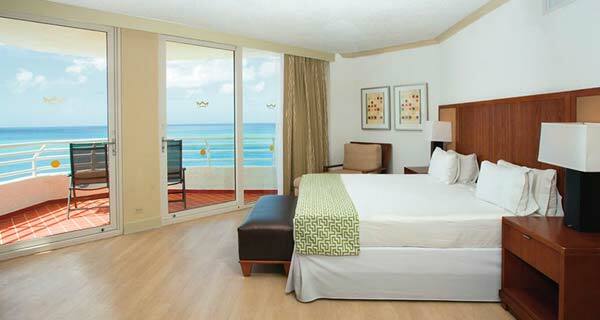 Furnishings include 2-person tables.